Our names and nicknames are in many ways the source of our identity. Whether you hate or love your names and/or nicknames, the power to choose what you will be called is a privilege that many people get to experience at some point in their lifetime. For SNU students, the legacy behind names/nicknames is no different. Williams, the 2014-2015 Echo editor and Honors student, has always liked to be called Grace. Using her middle name as her preferred name, however, has some drawbacks. 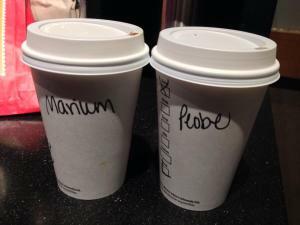 Not surprisingly, Williams is not the only one on campus who goes by her middle name. Many students will answer to both their first and middle names. For people like junior Catherine Roby, however, the name issue is a more complicated matter than being called by her first or middle name. Roby, a transfer from Rose State College who lived for a time in Indonesia, has numerous nicknames. Both Williams and Roby can definitely agree on one thing regarding names versus nicknames: nicknames can dispel confusion. So remember: if you ever decide to change your name or possess the power to name somebody else, think about the issues a particular name/nickname might cause. Nicknames summer howard What's in a name?